Financial guru Steve Mazda shares investment insights and retirement planning tips on FilmWorks Entertainment’s Sept. 24 DVD release of 401 (k) Magic. Simple, elegant and easy to follow, this 45-minute financial planning walk-through from Mazda shows the viewers how they can — with a little planning — build a secure future through compound interest and wealth-building techniques. 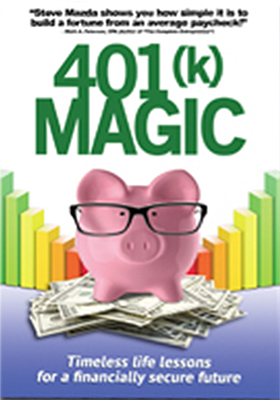 Bonus features include extended interviews, a “Decision Guide” and a “Smart Tips” slideshow. Virgil Films & Entertainment has tabbed Sept. 17 as the DVD street date for one of the most innovative “stage-like” plays ever set to film. This would be Oscar-winner Michel Gondry’s The We and the I. The ARR is 193 days and the box office take from the film’s limited arthouse run was reported at $28,254. 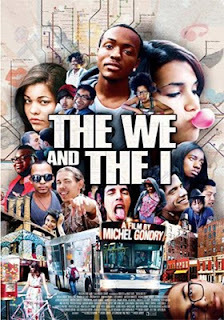 We say that this is a stage play when we speak of writer/director Gondry’s The We and the I, and in every sense of the word this is a play, only instead of being stage-bound, this production has wheels! The Bronx and the last day of school; the last bus ride of the year … that’s the set up for this story featuring a dozen or so “players,” who must first stop at the local bodega to collect their electronic communication devices (the school wisely bans them). It is a clever way to introduce us to the cast of characters. Then on the bus they go, with Michael (Micheal Brodie) and Teresa (Teresa Lynn) — both making their screen debuts here and pretty much playing themselves — taking center stage (although that isn’t quite so obvious during the early going when the bus is crowded with their peers and the “Greek Chorus”). Filmmaker Michel Gondry glides us effortlessly through the bus, giving us vignettes and snippets of conversations (interactions) between the students. The pecking order is established; the students and players … for some it will be their last bus ride. To break up the confinement and restrictions of a ride on a crowded city bus, he peppers in flashbacks, backstories (via those electronic communication devices) and gives up glimpses of the action on the outside as riders exit to the “real”world as the bus pulls away (exit stage left, so to speak) — there is a lot to cover in the film’s running time. This is a sleeper film that is just waiting to be discovered. Playing to a handful of critics, working the festival circuit (both domestically and internationally — stops at the Cannes Film Festival and Toronto International Film Festival among others in 2012) and being showcased to a smattering of arthouse devotees only goes so far. With the DVD launch on Sept. 17, Virgil Films & Entertainment is poised to take The We and the I to the much larger audience that it deserves. 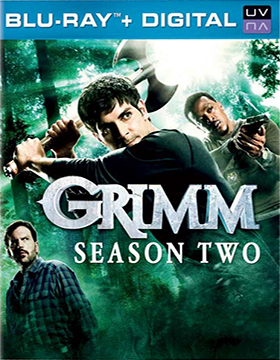 Universal Studios Home Entertainment will serve up DVD and Blu-ray editions of Grimm: Season Two on Sept. 17. What you see in people all around is not necessarily what is real in this surreal detective series starring David Giuntoli as Portland Homicide Detective Nick Burkhardt, a Grimm, capable of seeing creatures of all shapes and sizes — both good and bad — who are blending in as humans. Universal has five-disc Blu-ray and DVD sets ready featuring all 22 episodes of the second season’s adventures — bonus goodies include a gag reel, deleted scenes a four-part webisode titled “Bad Hair Day” and featurettes. When the trailers first hit theatres there was this buzz that filmmaker Baz Luhrmann’s remake of The Great Gatsby was going to have a tough time finding an audience. The pundits predicted a disaster in the making. HA! Don’t believe self-styled pundits until after audiences have had a chance to sample the film itself. 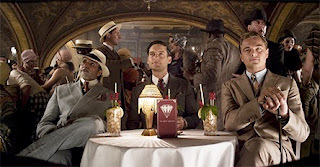 Trailers can be good, bad and very bad (how about all of those comedies with the sum total of the funny parts flashed on the screen in 90 seconds — no need to see the movie itself), so trying to figure out if the final product will be a hit or a miss is akin to shooting darts in the dark. 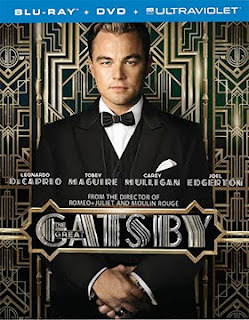 After the film opened audiences had their say and they voted thumbs up to the tune of $142.4 million in domestic ticket sales! Strong word of mouth drives those type of numbers. That level of box office success will make Warner Home Video’s Aug. 27 home entertainment launch a DVD and Blu-ray retail monster — standing right there at the front of the line for the sure-to-follow Christmas-selling-season blockbusters (the Labor Day to Christmas period)! For the record, the ARR works out to 109 days. Warner Home Video has a three-SKU product offering planned. A double-disc DVD release (the film clocks in at 142 minutes — so the bonus goodies have been shuffled over to a companion disc) and two Blu-ray/DVD Combo Packs (one with and one without a Blu-ray presentation of the film — both with UltraViolet) are poised for heavy-duty consumer action over the Labor Day weekend and well into the fall. 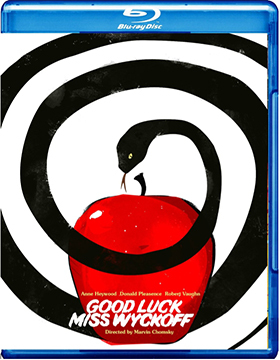 Director Marvin Chomsky’s 1978 film adaptation of Pulitzer Prize-winning playwright (1953, for the Broadway production of Picnic) William Inge’s novel, Good Luck, Miss Wyckoff, has been restored by Vinegar Syndrome to its uncut version (from the original 35mm negative) and will be heading to market on Aug. 13 as a Blu-ray/DVD Combo Pack. 1954, Kansas, a spinster high school teacher by the name of Evelyn Wyckoff (played by Anne Heywood — The Fox, Midas Run, I Want What I Want, etc.) is undergoing therapy (psychiatrist is played by none other than Donald Pleasance) for her isolation and sexual repression. A common theme in Inge’s works — Bus Stop, Picnic and Splendor in the Grass — but here it is taken to another level … and even by 1979 standards Good Luck, Miss Wyckoff was a tough film to market. 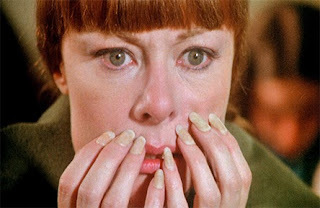 For example, the original theatrical trailer only teases the “event” that proved to be “most shocking” and spends the bulk of its running time making the film seem like a cousin to The Prime of Miss Jean Brodie. It is depicted as something of a Harlequin Romance about a sexual repressed teacher yearning for love, only to fine betrayal … it is a whole lot more than that! Bonus features include the re-cut theatrical re-release, The Sin (for comparative purposes), the featurette titled “Thoughts on William Inge” (an interview with Shirley Knight), theatrical trailers and a CD soundtrack of movie (composer was Ernest Gold). 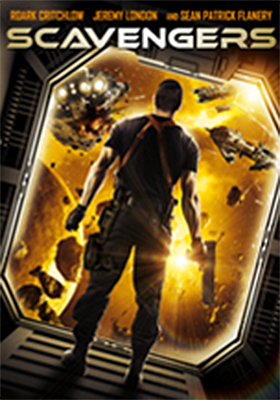 Image Entertainment has targeted Sept. 3 as the DVD rollout date for director Travis Zariwny’s futuristic interstellar thriller, Scavengers. It is a sci-fi thriller, but Scavengers’ roots are clearly grounded in the swashbuckler pirate adventures of yesteryear … futuristic weapons instead of swords; star ships for sailing ships! Aye matey! Sean Patrick Flanery is the super villain Captain Jekel, a space “scavenger” (read that as: yes, a pirate), who will stop at nothing to retrieve an alien device known as the “Chaos Generator” — a life-altering thingamajig that serves no useful purpose … evil is as evil does; power for power’s sake. In no time the battle is at hand with literally the fate of the known universe hanging in the balance … no word on bonus features at this time. Tennis anyone? In a classic case of David versus Goliath, director Tim Kirkman delivers a comedy about serve, smash and volley in the Aug. 27 Green Apple Entertainment DVD debut of 2nd Serve. Upscale tennis club pro Owen Match (Josh Hopkins — Lebanon, Pa., Pretty Ugly People, etc.) suddenly finds himself on the street and forced to take a job — hold your nose and close your eyes — at a public (ugh!) tennis facility. He figures that he will just ride it out; collect a paycheck and get back to where he really belongs in time. STOP! Not so fast. Before you can say “15-Love” Owen finds that he must take on his former “friends” and colleagues in a high-profile tournament … and all he has to work with are players from the street and they have issues! But with the incentive of having an eye-candy co-worker like Sherry (Alexie Gilmore), Owen soon finds that teaching the learning-challenged has its perks. And besides, revenge is sweet!